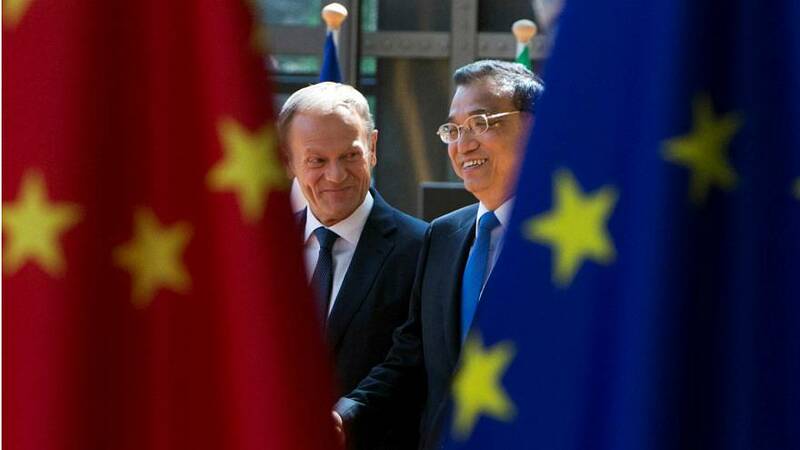 A hotly-anticipated EU-China summit got underway in Brussels this week amid a flurry of pessimistic speculation over the potential outcomes. The half-day summit on Tuesday saw EU officials meet with Chinese Premier Li Keqiang in the hope of strengthening its €1 billion trade relationship, making up for tension in previous years due to disagreements over the South China Sea. READ MORE: China's Belt and Road plan: Why did Italy sign it and why is Brussels worried? But the latest summit was not expected to garner many positive results due to China's reported reluctance to commit to a number of the EU's demands, setting back the EU's hopes of reaching a more assertive relationship with Beijing. With all eyes on Brussels, why is this trade summit so important to Europe? And how much does the EU rely on China? China and the EU are ranked as the world's two largest exporters but sit third and fifth on the table for global imports. The EU's trade with China hit a 10-year high last year. Exports to China hit €210 billion, up from €78 billion in 2008, while imports reached €395 billion compared with €215 a decade earlier. The EU now has a trade deficit of €185 billion with China. The bloc is quite heavily reliant on its trade relationship with China — last year alone the east Asian country made up 20% of the EU's imports. It was also the EU's second largest export partner, behind the US. The relationship has leaned in particular on the trading of manufactured goods, which made 84% of the EU's exports to China in 2018, specifically that of machines and vehicles, according to statistics released by Eurostat. Trading in primary products, such as food and raw materials, recorded less of an impact over the last ten years. Similarly, almost all of the EU's imports from China in 2018 were manufactured goods (97%), again falling into the machinery and vehicles bracket. Further breaking down the category of manufactured goods, we can see that the EU pointedly depends on Chinese tech imports, including telecommunications equipment and computers. China, however, receives a large share of the EU's vehicle and aircraft exports. Much of the negative speculation over Tuesday's summit also focused on the EU's inability to unify its 28 member states, leaving China to search for separate deals. The Netherlands, Germany and the United Kingdom made up the top three EU member state importers of Chinese products in 2018, while Germany the UK and France were the top three exporters. In terms of a trade balance, three countries recorded a trade surplus: Germany, Finland and Ireland, while all other remain in deficit.